What is the Filter formula? 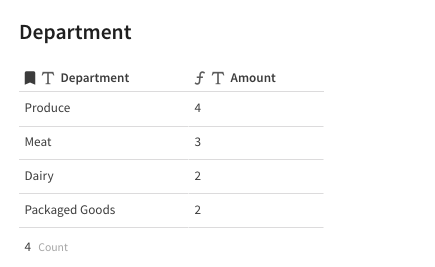 The Filter formula allows you to tell Coda exactly what part of your tables you want to work with. Like with all formulas in Coda, you can build it anywhere by typing "=". 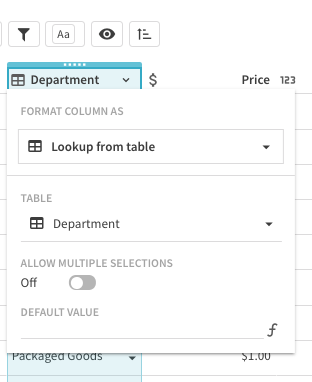 You can also connect table data together using a combination of the Filter and thisRow formulas. 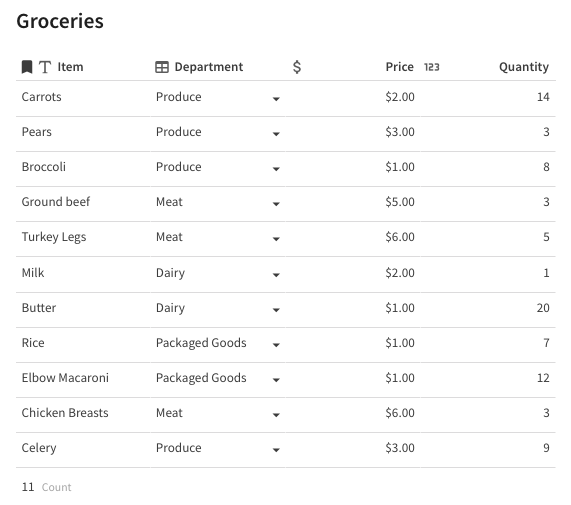 For example, maybe I want a summary table that shows the amount of items we have in each grocery department.